Man, my wishy-washy-ness knows no bounds. 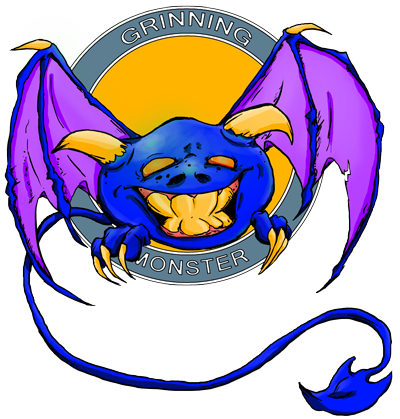 Planet Tobor will not be migrating to grinningmonster.com, but will be going through that overhaul I was talking about. I'm in the trenches now getting it all gussy'd up and making it look purdy and the re-launch looks like it's just around the corner. To clarify: planettobor.com will stay planettobor.com, despite my misgivings about it having too much weird history and baggage, etc. Complaints of a fool, I say! I will stay the course. After some much needed soul searching and fiddling around with a new logo, I arrived at the conclusion that I just dig the original name more. I'm excited to get back into the swing of things. Again, sorry for the back and forth-ing. Thanks big time for sticking around, you super awesome few!